A dorm essential for a quality night's sleep without bed toppers and mattress pads slipping and sliding! Dorm Co. Tip: Keep your mattress pad from slipping and sliding! When you're putting together your college dorm checklist, there's probably Twin XL Dorm mattress pads and dorm bed toppers Twin XL on your dorm essentials list. 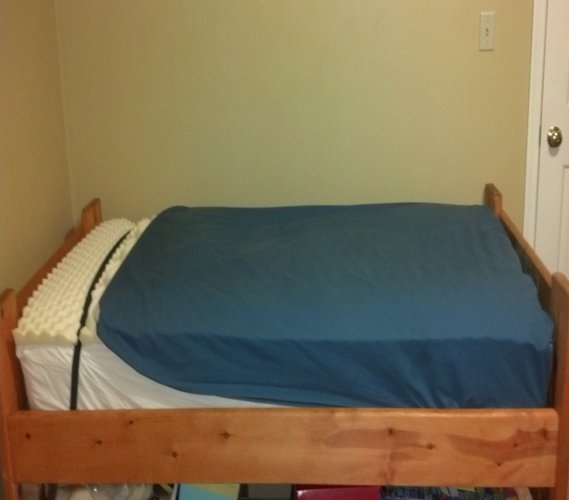 Those necessities are amazing for your dorm bed and you will be incredibly comfortable. Much more so than with just your lumpy University provided dorm mattress, however there is one dorm essential that is necessary to complete your dorm bedding. That dorm necessity is a simple one - it's our Dorm Mattress Pad Bands! These Dorm Mattress Pad Bands are a dorm essential for sleeping well in college. Picture it - you're getting into your dorm bed to sleep at night and your dorm Twin XL Bed Topper is in a different spot than it was the night before. This is especially so if you toss and turn in the night. It can get quite annoying to peel off your Twin XL Dorm Bedding night after night to pull your dorm bed topper Twin XL or your dorm mattress pad back to where you had it. These simple Dorm Mattress Pad Bands are cheap dorm supplies that will save you a lot of hassle. 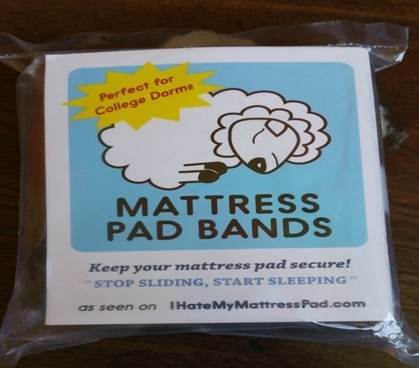 They come with a set of three bands that slip over your dorm mattress in three places - top, middle, and bottom. There's no way your dorm mattress pad and dorm bed topper Twin XL are going anywhere with a set of our Dorm Mattress Pad Bands on your dorm bed!